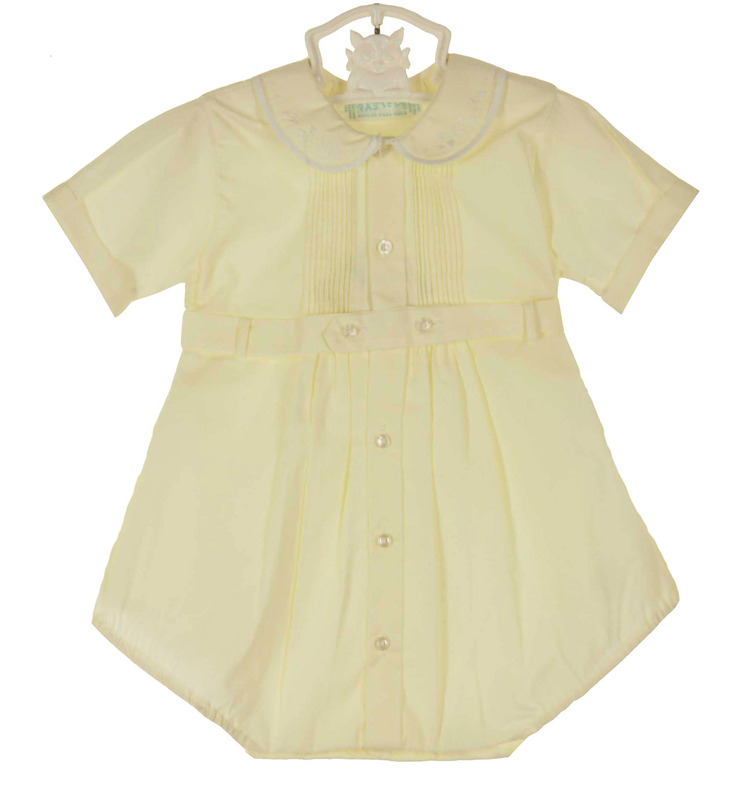 This darling yellow cotton blend romper was hand made in the Philippines by Pastels, a division of Feltman Brothers. It features a pintucked chest with an embroidered collar edged with white trim. The short straight sleeves have turned back cuffs. 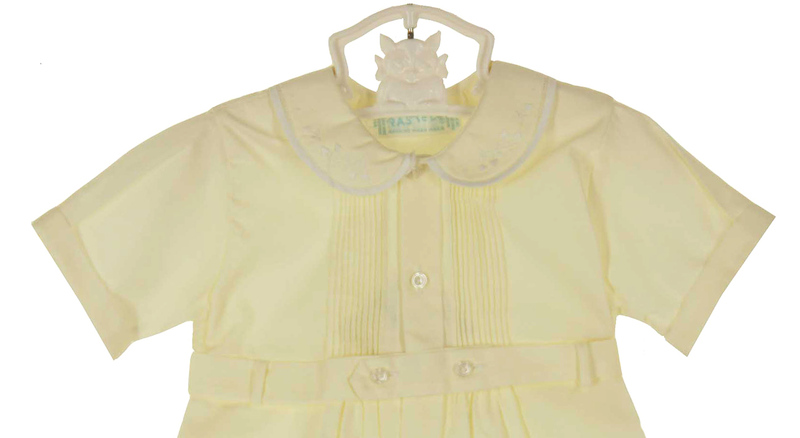 The romper has a yellow belt that buttons at the waist. 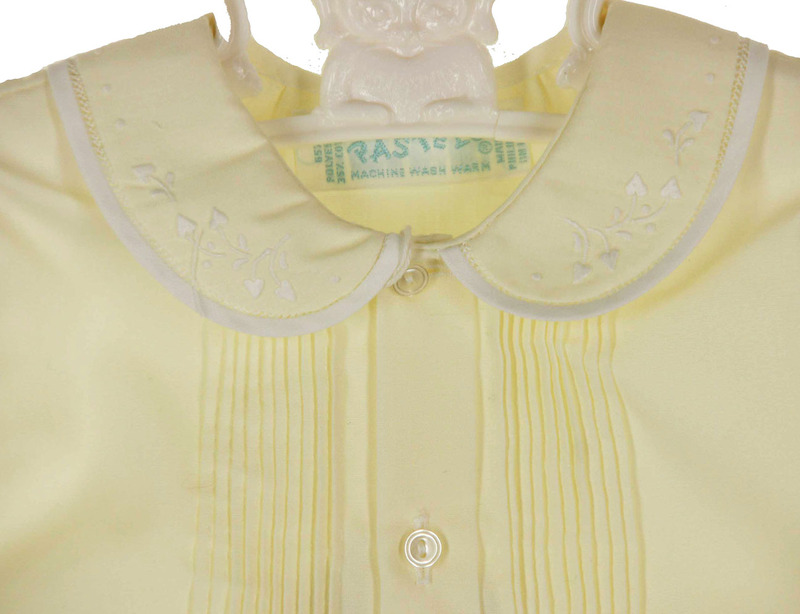 The back closes with two small buttons. The romper has relaxed elastic leg openings and snaps in the crotch. This would be a darling heirloom portrait romper for your baby boy!